My Kitchen Experiments are Shared Here. Alappuzha is an important tourist destination in India. The backwaters of Alappuzha are the most popular tourist attraction in Kerala. A houseboat cruise in these backwaters is a delightful experience. Alappuzha is also called as Venice of the East. Alappuzha is also the access point for the annual Nehru trophy boat race, held on the Punnamada lake, near Alappuzha, on the second Saturday of August every year. This is the most competitive and popular of the boat races in India. The mullackal chirap is also one of the attractions of Alappuzha which is the festive season held ten colourful days every year in the month of December. I am proud to say that I was born and brought up in a small village in Alappuzha. If you search for Alleppey fish curry on google, you may get different types of recipes, some using coconut milk, some using coconut etc. 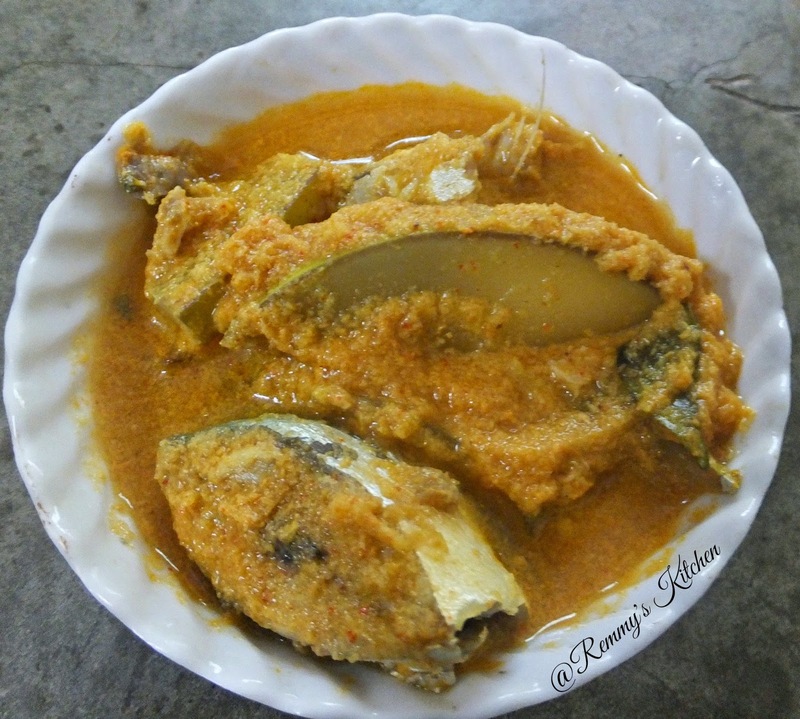 I have already posted fish recipes without using coconut - Sravu mulakitathu (shark in red gravy), mathi curry (sardines curry ) , mathi mulakitathu (sardines in red gravy ) etc. But this recipe is entirely different from those previous recipes. Here I used coconut and raw mango with fish .But to be frank I have never tasted a fish curry made with coconut milk!!!!!! We always prepare it with ground coconut paste. 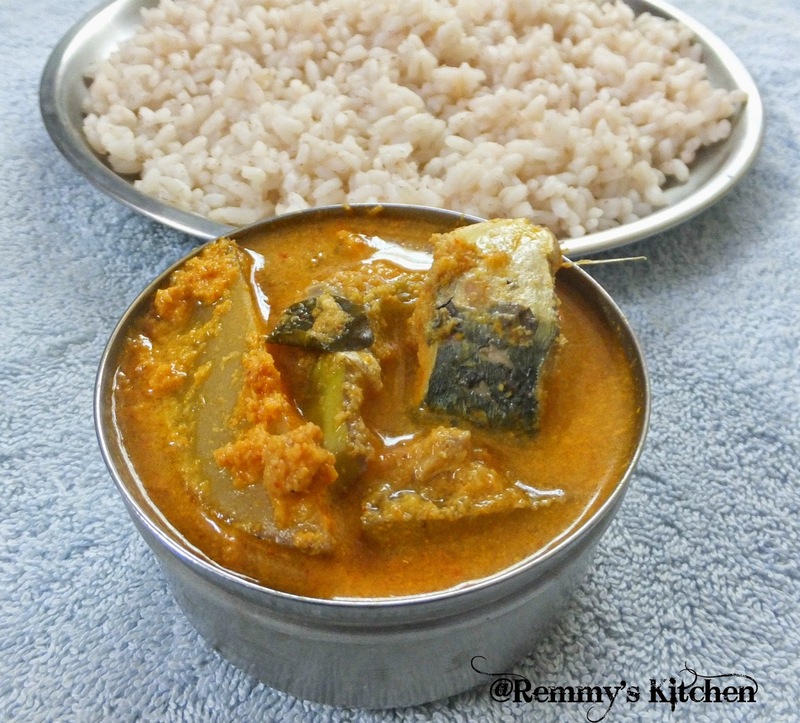 But I assure you that this Alleppey fish curry with brown rice tastes heavenly. Now grind all the ingredients listed under "to grind" in to a smooth paste. Add ground paste and sliced mango pieces in to the fish. Add enough water if you prefer more gravy add more water. Add curry leaves and chopped ginger. Now close the clay pot and cook it in medium flame.Once the curryn starts to boil keep the stove in simmer mode. Looks good. I have only tasted the north Indian styles. I wd surely try this and revert with another comment. 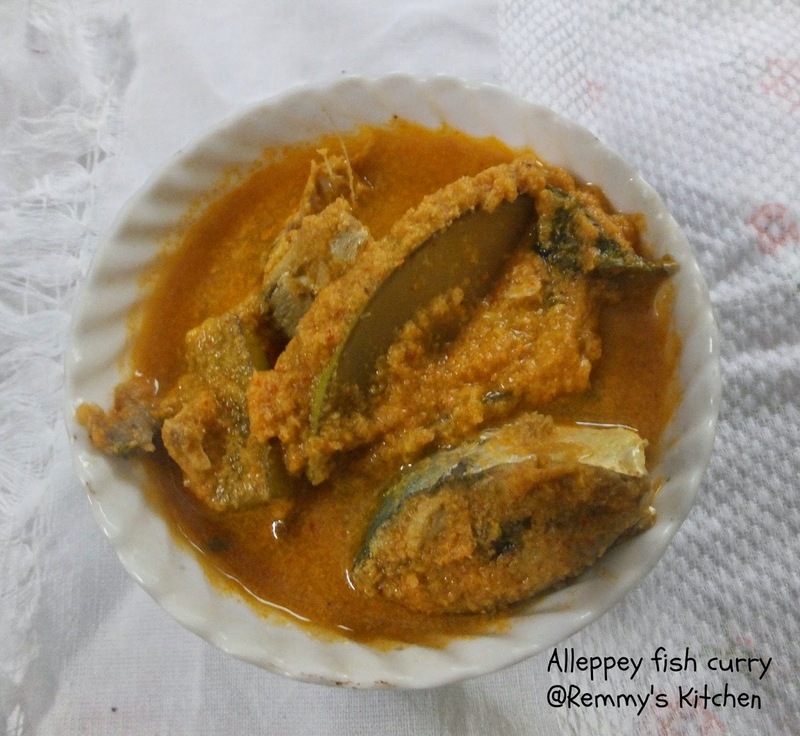 Alleppey fish curry is tempting. The original one from there is really red because of the Kashmiri chilli powder they use. I had a ball of time eating when I visited last month. Thanks for sharing this wonderful post . It is important and very useful, and the articles are nice to share everyone.